Sri Lanka is a beautiful island full of bustling cities and hectic bazaars, sacred mountains and speeding tuk tuks, colonial fort towns and ancient temples. 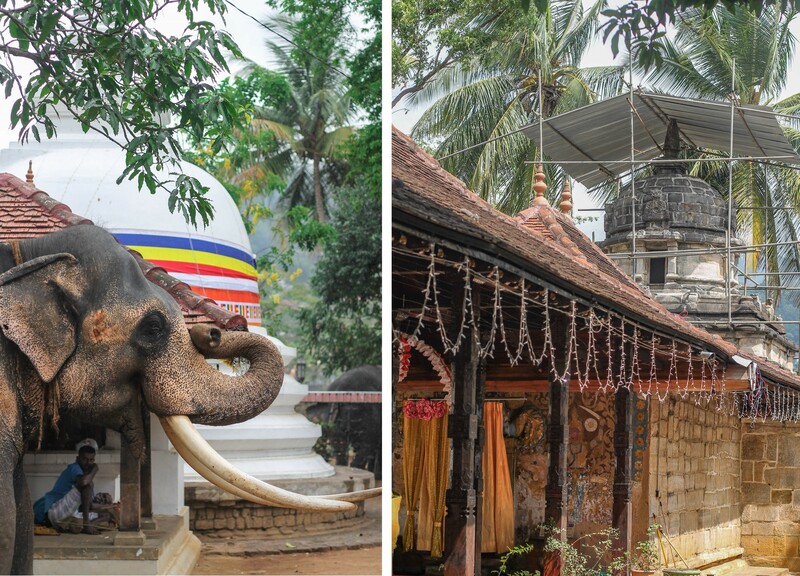 It's a dizzying country full of citrus saris and mystic legends, rolling tea plantations and growing cities. You can hike to the top of mountain peaks while the morning mist creeps around your ankles, or you can walk through preserved Dutch colonies and talk with monks on top of hills. From thousand year old temples to old hospitals being converted into five-star restaurants, there's something for everyone. But when planning your trip, the country can quickly become overwhelming. It's small, but where do you start? What do you choose? Where do you go first? To help you sift through those questions, here's a guide to give you a kind of outline to begin with. From major cities, to cultural hubs, to the best nature spots, it will give you an idea what to see and where to go next. Happy planning! 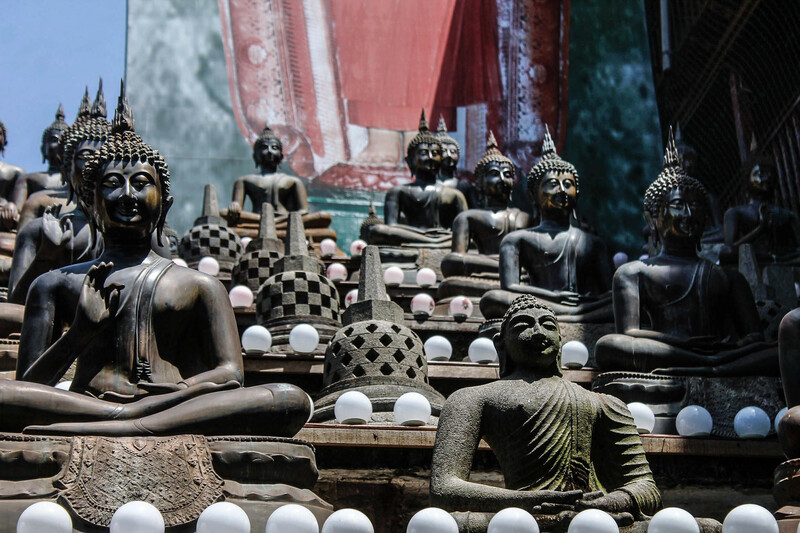 • Gangaramaya Temple: The most famous temple in Colombo, it has an impressive wall of Buddha statues, all sitting in different poses. Each hand gesture has a different symbol, so screenshot some info on your phone so you can read all about it. Then just across the street is the Seema Malaka Temple, which is a beautiful Buddha-studded pavilion on a lake. • Fort: Started as a Portuguese base in the 16th-century, Fort has interesting colonial buildings and is the best-known part of the city. 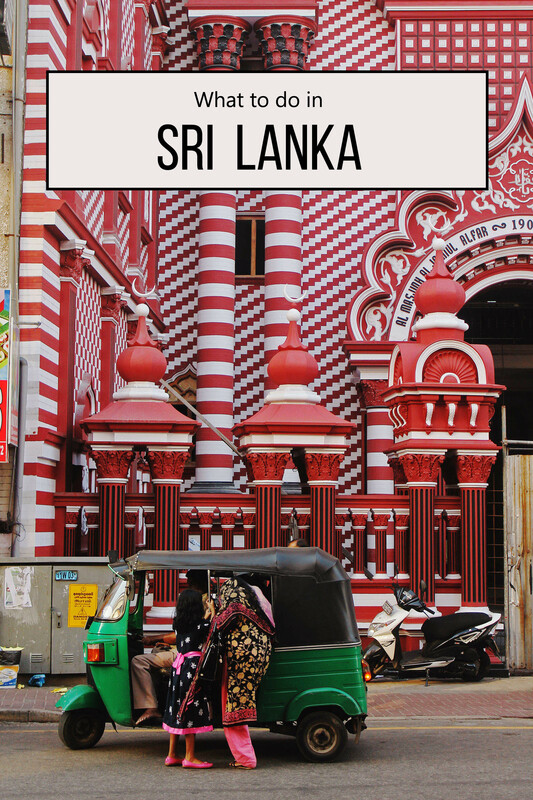 Now home to Colombo's financial district and Sri Lanka's president, it has a history-book-mix of Dutch and Portuguese buildings, and the way they braid between tall palm trees and colorful saris makes it a beautiful place to hang out in. 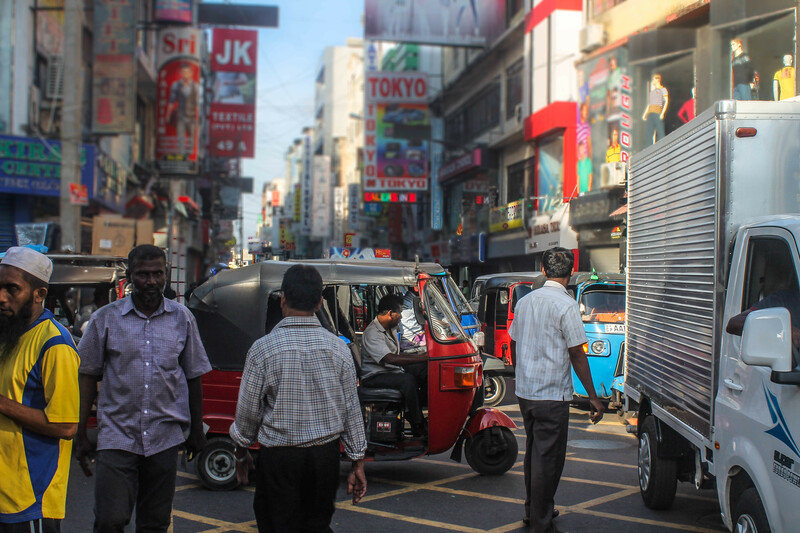 • Pettah Market: If you want to feel a city pulse, then stand in the middle of Pettah Market. There's no other word for it than "hectic," and you'll wan to throw yourself head-first into it. 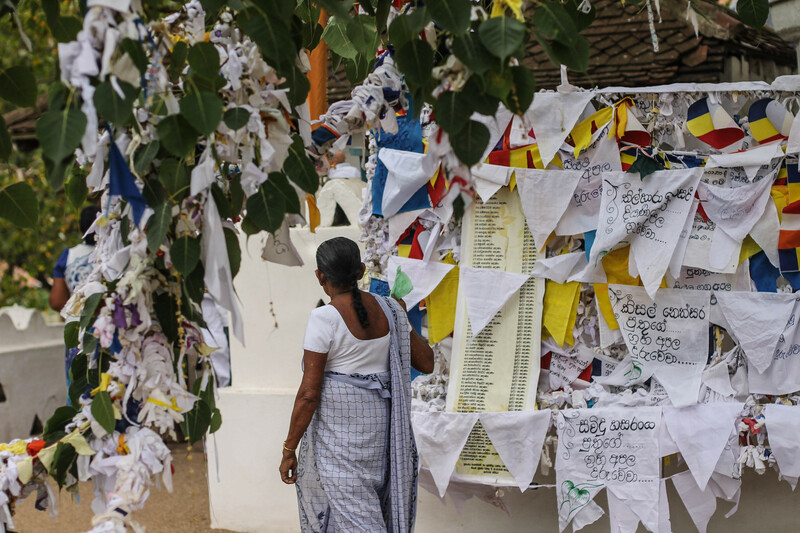 A blend of Muslim, Tamil, and Sinhalese cultures, each street is home to a different good — one road will sell you fruits, which is right across the street where you can pick up your dinner's fish, which is right across the street where you can buy a 2007 Nokia phone (if you hawk the right price, of course.) You'll compete for space with carts and tuk tuks, sarong-ed women and street food, all the while having your attention grabbed by the mosques and Hindu temples on each corner. 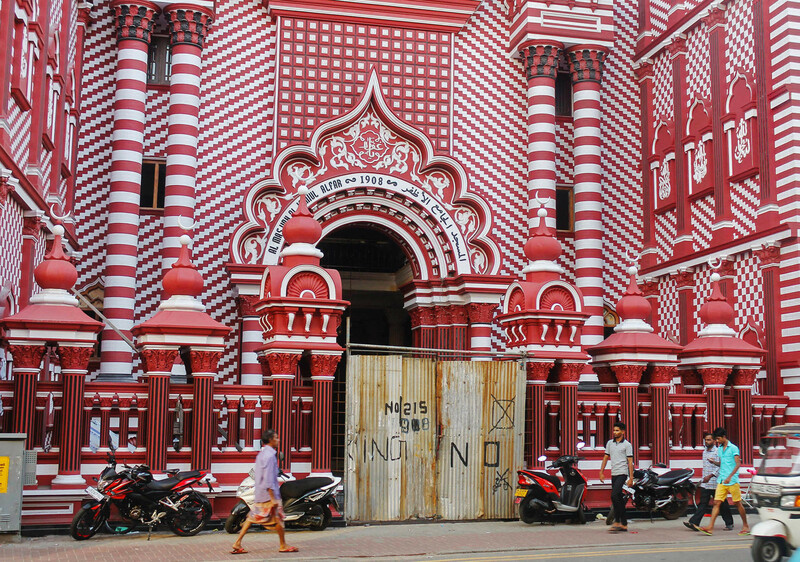 • Jami Ul-Alfar Mosque: Right in the middle of Pettah Market, this candy-cane-striped mosque will be hard to miss. 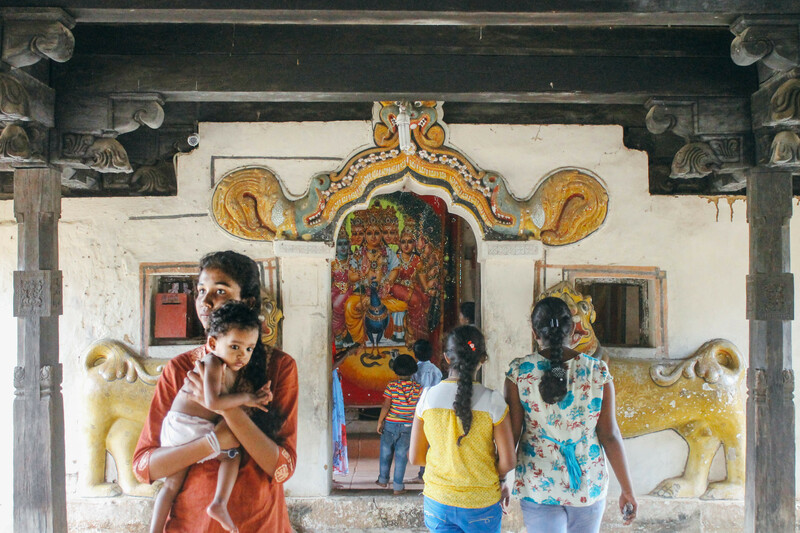 • Ashokaramaya Temple: Sri Lanka's answer to the Sistine Chapel — be sure to have your camera ready...and don't forget to look up! • Barefoot Garden Cafe: The prettiest outdoor cafe in all of Colombo, with a tempting art and home decor store attached. You'll leave with a full belly and bags full of citrus-colored tablecloths and teak serving bowls. • Dutch Hospital: What used to be an old hospital during the Dutch occupation in Sri Lanka, it's been converted into a charming block of five star restaurants and swanky boutiques. What's thought to be the oldest building in the historic Fort neighborhood, the Dutch Hospital is built around two courtyards and hosts some of the best food you can find in the city. • Aura Cafe: The food here is amazing (they have peri peri chicken!) and there's a cute balcony area where you can eat outside, but the real attraction here is the Freakshake. It's a chocolate milkshake topped with skewers of brownies, marshmallows, strawberries,which are avalanched with cream and chocolate sauce. Think of the craziest Bloody Mary you've ever had at brunch...and now convert it into its chocolate version. 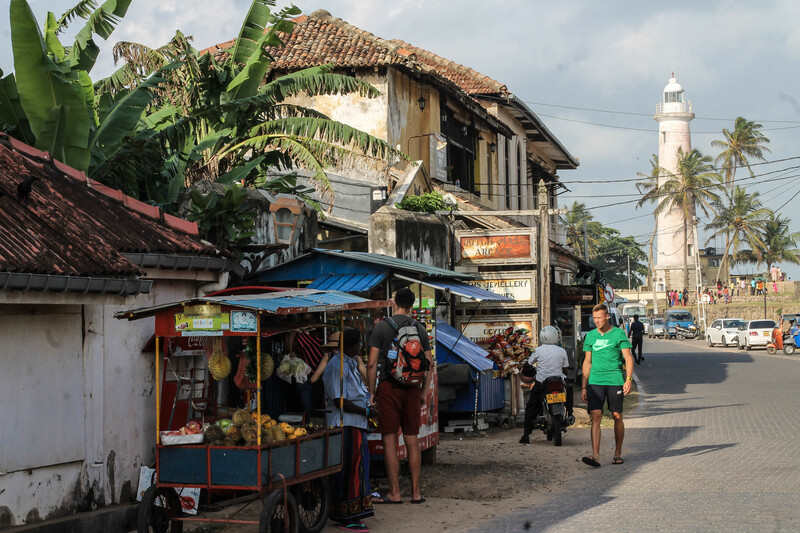 • Galle Fort: A perfectly preserved colonial town in the south of Sri Lanka, strolling through Galle Fort is like taking a walk through the pages of a history book. There are a ton of old sights you could visit, but as long as you get a hostel or hotel within the walls of the Fort, you'll eventually come across all of them. It's a small town! My best advice to you is to just wander, and you'll come across the famous lighthouse, the 300-year-old Dutch Reform Church (De Groote Kerk), the Victorian Gothic Revival church (All Saints Church,) the Old Dutch Hospital, and Meera Mosque. You'll feel charmed by the squat Dutch villas and white-washed winding streets, and don't forget to take a walk along the tall bastions enclosing the city — you'll get some of your best pictures from there. • Poonie’s Kitchen: A colorful, open balcony cafe, it's so charming and cozy that you'll feel like lingering over your iced coffee and late breakfast. • Mama’s Roof Top Cafe: Want a meal with a view? Make sure your phone is fully charged because you'll be taking more pictures from your balcony view than eating. • Church Street Social: Part of an 18-bedroom luxury boutique hotel, pop in for a delicious dinner or fancy drinks to help you cool down after a day of adventuring. • A Minute By Tuk Tuk: Another restaurant with great views, it faces right into the water — so make sure to come during sunset! • Tea plantations: If you want to visit Sri Lanka's tea plantations, try visiting Ella. The "town" is literally only a street long — jam packed with hotels, restaurants, and pharmacies — but the nature is what you're here for. • Ella's Rock: Hike up to Ella's Rock, a trip that will take you about two hours each way. You'll get to hike along the railway lines and through the tea plantations, catching pretty views of the hill country. Here's one great self-guided tour that can show you the way: Nomadic Boys. 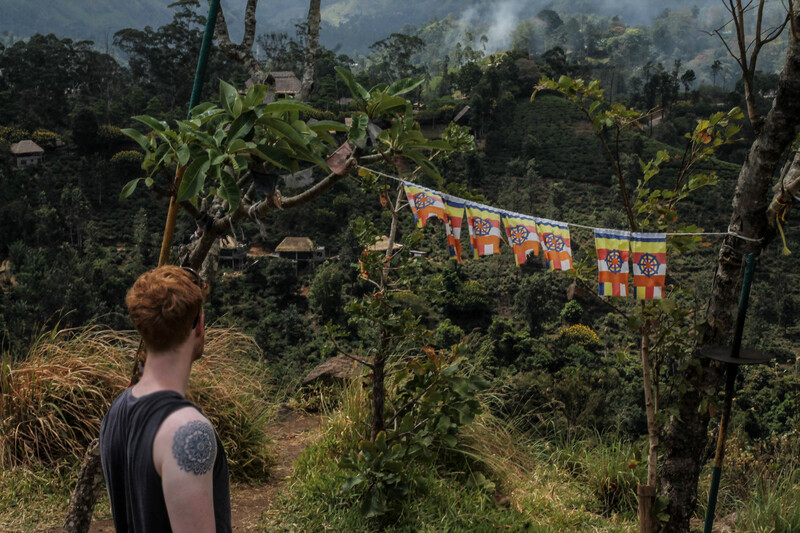 • Little Adam’s Peak: Another walk through the tea plantations, climbing to the peak isn't difficult compared to the real Adam's Peak up in central Sri Lanka. It takes only one hour each way, but you'll get stunning views! And bonus: On your way back down to the main road, you pass by a resort tucked away into the hills. They have an open-space restaurant on a massive balcony called 68 Acres Resort, and you can grab food and drinks on floor pillows and stare out into the rolling hill country. • Demodara Nine Arches Bridge: Built by the Brits in 1921, it's one of the most photographed spots in Sri Lanka. For a guide on how to get there, check out Citizen on Earth's directions. 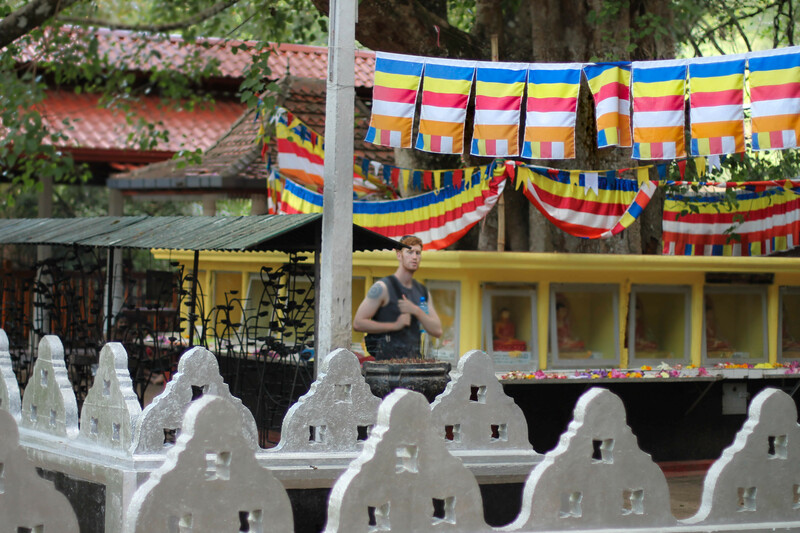 • Dowa temple: In the nearby town of Bandarawela, you'll need to take a 20 minute tuk tuk ride to reach this temple. But it will be worth the rupees — the outdoor temple is quiet and atmospheric, and it has a 36-foot Buddha carved into the hill. • Train Rides: The ride from Ella to Kandy (or vice versa) is one of the prettiest in the country, so have your camera ready! And the trains move slowly, so you can stick yourself right out of the windows and doors and watch the hills roll by. • Kandyan Dancing: Kandy is the culture capital of Sri Lanka, so make sure to soak in all the customs you can! Filled with elaborate costumes, rhythmic drumming, and dancing that tells a story, this isn't something you would soon forget. 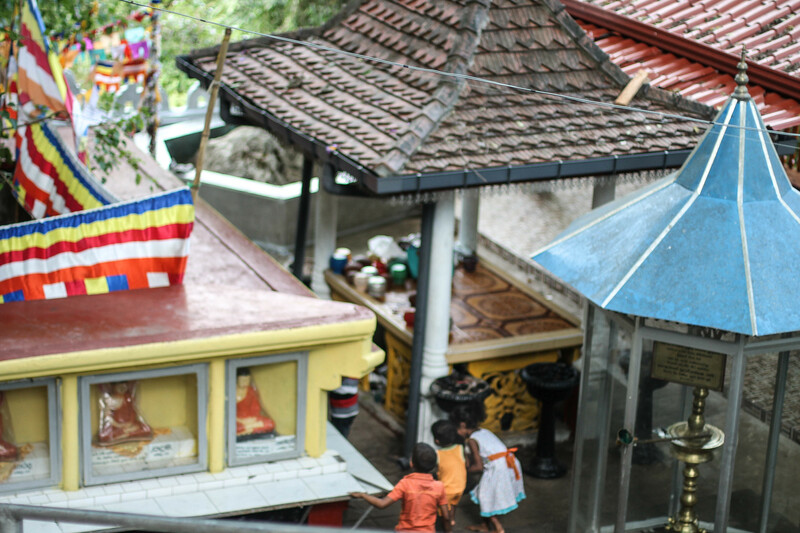 • Buddha’s Tooth: Housed in the Temple of the Tooth, this is the main reason most people come to Kandy. 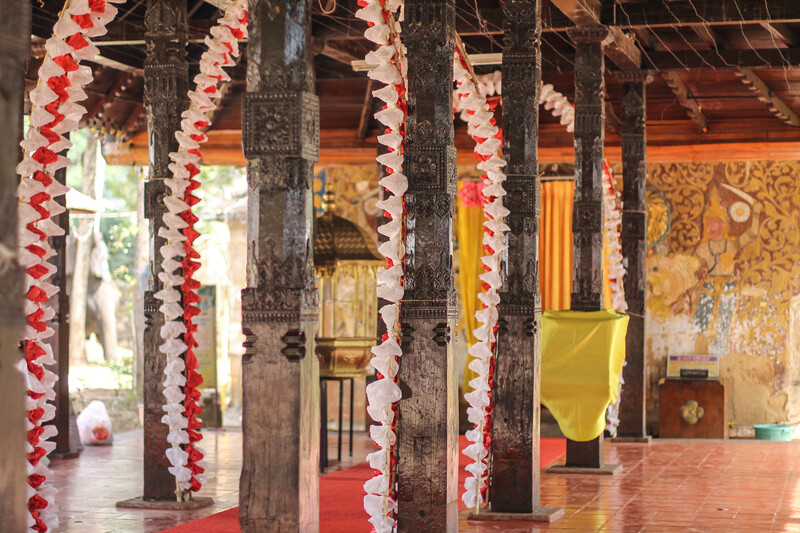 One of the top 10 religious relics in the world, it is said that the tooth was stolen from Buddha's cremation and smuggled back into Sri Lanka for protection. The tooth is housed inside the temple, but it's guarded from the public for obvious reasons. But don't worry — the temple is just as exciting as the tooth. Filled with elephants, prayer flags, and multiple squares to move from for different temples, you can easily spend an afternoon here. • The streets around the Temple of the Tooth: Busy bazaars, charming tea shops, winding alleyways — make sure you take some time poking through every side street you can find in this area. • The botanic gardens: A beautiful set of gardens, you have everything from towering palm trees to a manicured *garden that looks like they could belong to a countryside Abbey. Bring a blanket and a good book and you can happily spend an afternoon here. 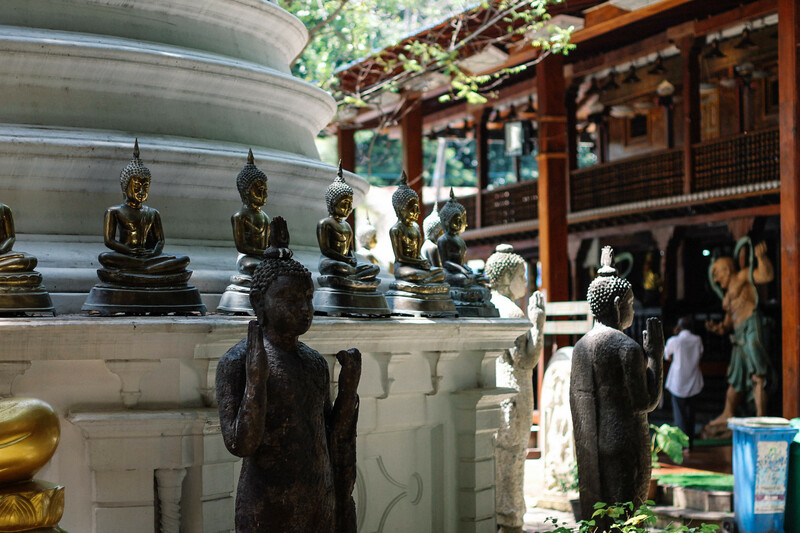 • Bahiravokanda Vihara Buddha Statue: You'll race up a wide flight of stairs to meet the 88 foot tall sitting Buddha - it's definitely not something to miss. • Festivals: If you're in the country during July or August, then definitely catch the Esala Perahera Festival in Kandy. Bring a blanket to sit on the pavement, stock up on snacks, bring money to buy whistles and flashing lights, and come a few hours early to grab front row seats. 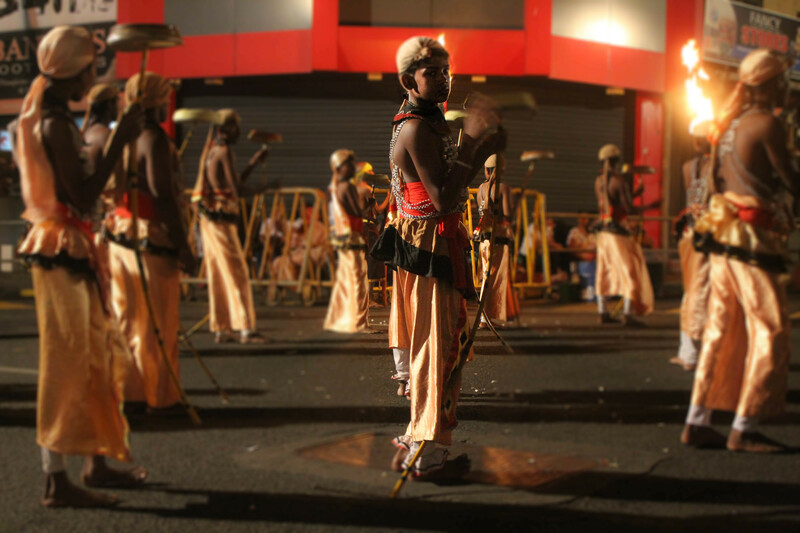 You'll be treated to a four hour long parade of Kandyan dancers, fire throwers, lit-up elephants, and whip crackers. It will be mesmerizing. • Indiana Jones Rope Bridge: Want to walk across that iconic bridge from Temple of Doom? You're right in the neighborhood! An hour outside of Kandy, it's attached to the Victoria Dam — it might take some finagling to see it though, so check out these directions on how to get there. • Visit the royal ancient city: The ruins of the city date back to the 10th century, when the Chola kings of southern India invaded Sri Lanka and conquered the area. You'll be treated to history that's a thousand years old, and get to walk past sleeping Buddha statues and explore relic halls, lotus ponds, and ancient temples. It's $25 to enter but it will be well worth it. 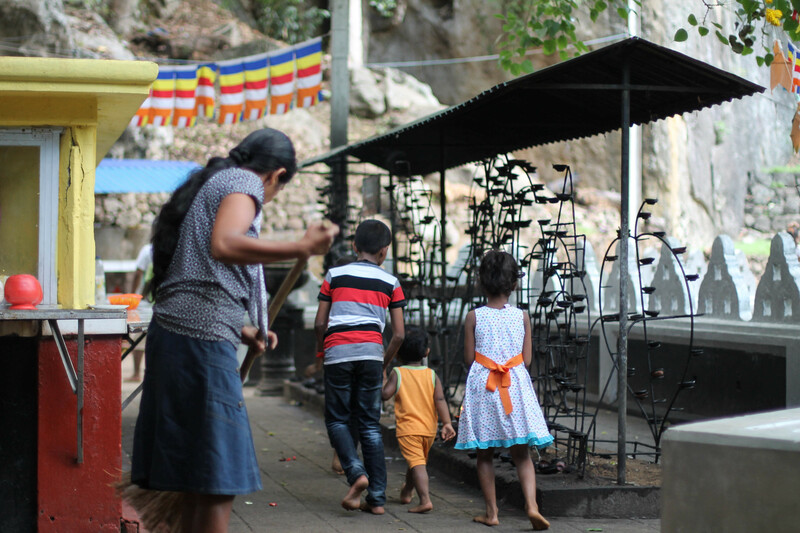 • Hike Sri Lanka's most sacred mountain: At the top of the peak there is a foot print that is said to belong to Buddha, and it's rumored that all religions have started on this mountain. In the Hindu tradition the footprint belongs to Shiva, and it's Adam's or St. Thomas' in Christian tradition. The trek up to the peek consists of 5500 steps and it's a 7km walk, so it's a workout. You can hike it any time of the year except through May to September (that's the wet season and the stairs will be too slippery and dangerous,) but the time to really do it is during the pilgrimage season. 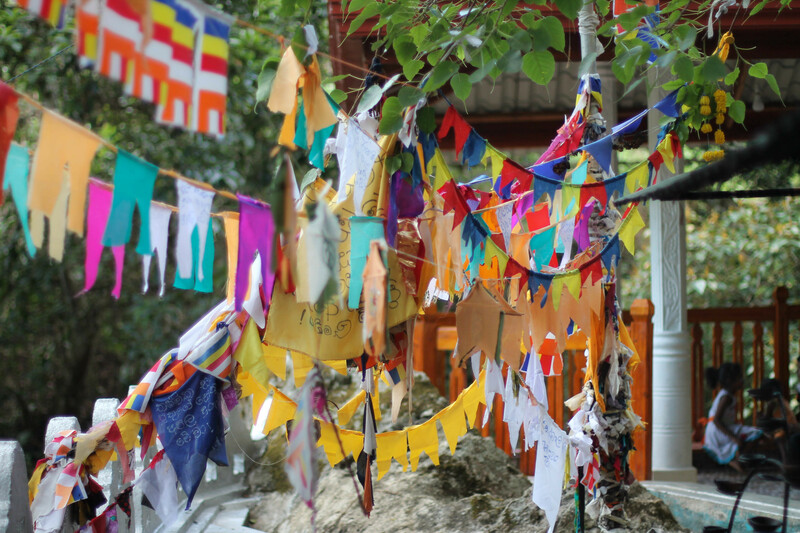 From December to May, people come from all over the world to trek up the sacred mountain, and the stairs are lit by torches and there are even tea shops dotting the trail to provide you with coffee and snacks. Most people start the hike around 2:30 AM to make it to the top by sunrise, and when you get higher up the mountain and look back, you see the trail lit up like a string of fairy lights. There are two trails you can take, and the easier one begins in the town called Dalhousie. It takes four hours to reach the top, and 2.5 to get back down. And don't forget to wear long pants — there are leaches along the way! 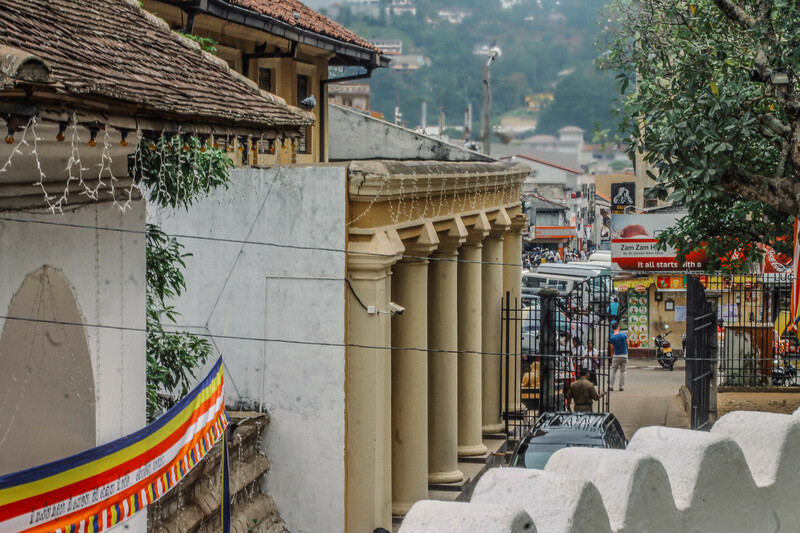 From exploring the hectic streets of Colombo and the colonial neighborhoods of Galle, to getting lost in the tea plantations and scaling holy mountains, there is so much to do in Sri Lanka!